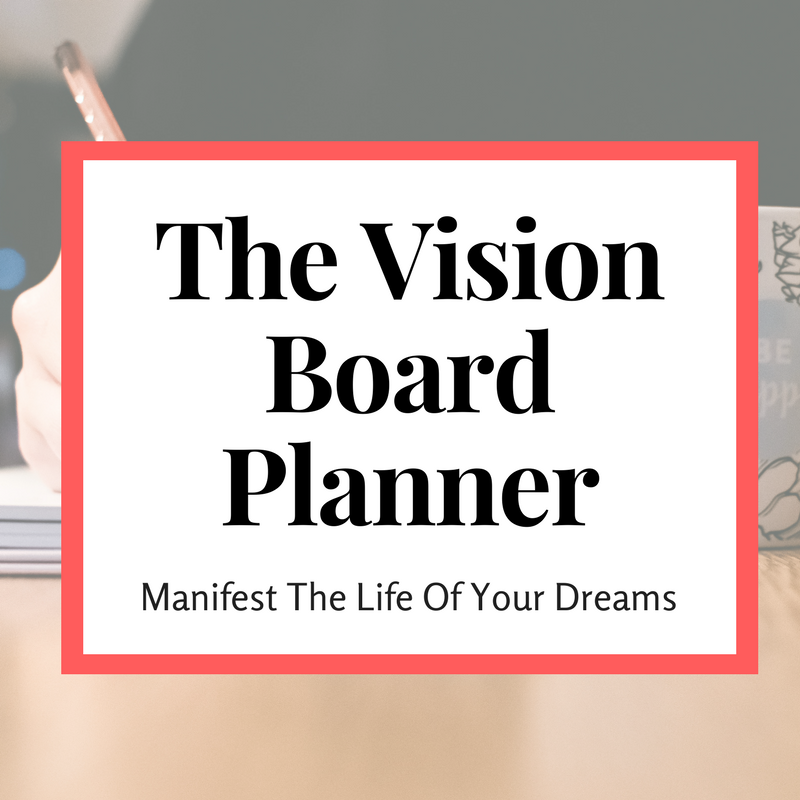 As self-proclaimed vision board guru, I've been to my fair share of vision board parties + events (I even created my own vision board conference #shamelessplug). One thing I've gained the most insight from - even more than actually creating the board - is the mix of ladies in the room. Having the right group of girlfriends at your vision board party makes all the different in the energy you have surrounding you during your creation process. It's literally the difference between creating with in a room of unlimited brilliance + ideas and creating in an endless pit of "that won't work" and "neither will that" and "ummmmm..."
Don't get me wrong, I'm not saying don't invite your struggling friend (in fact, I'm saying the opposite), but you need a good mix of experiences, life goals, routines, and backgrounds to inspire you from all angles while you create your big vision. Here are the 10 girlfriends you should definitely invite to your next vision board party. The One Who "Has It All"
Everyone has at least one friend who appears to "have it all." Often, this is also the person you want to choke because everything appears to run so smoothly for her. Your friend who has it all will benefit the room because she will have the ambitious goals that inspire others. She will also have insight into the things you're struggling with from her past experiences to share with you while you set your new goals. In short, don't re-invent the wheel, ask her how she created it to start the year with a roadmap. Your entrepreneur friend will add a different vibe to the room, inspiring others to work harder (because I guarantee you, your entrepreneur friend is the hardest working person in the room #handsdown). No matter how hard you friends on salary are working, they can take a day off anytime they want and not worry about their paycheck, but you entrepreneur friend is responsible for every dollar she earns. She's will bring with her a go-getting energy that will inspire your inner goal savage. I know your friend "in transition" can be a Debbie downer sometimes because they won't always be sharing good news. They'll be sharing how they're moving their money around to get out of debt or struggling to go back to school to earn another degree. If you catch them on the wrong day, they could even be crying their heart out because life is #TheStruggle right now. Everyone has one friend that is AMAZING with their money. They are huge advocates for saving money, investing, spending their money wisely and cutting costs where they can. They will make sure as you're posting cute outfits for your future swag, you're thinking about your budget and other ways you can use that money to benefit you in the future. Over the years, I've become a bit of a love skeptic, but I can always could on my friends who are building miraculous relationships to give me something to aspire to. When you're building a vision board, being around this energy will lift your love spirits and might even inspire you to create some #RelationshipGoals of your own. This friend moves so fast, you usually have to catch her moves on Instagram. Every time you turn around, she's enjoying the scenes in a different country and embracing new cultures, foods and customs. She will give you a different perspective, one that is not restricted by daily routines and familiarity. This friend will inspire you to explore more. Creatives are notorious for doing their own thing. They really don't care what's going on around them, they just want to create. They even are famous for turning their pain from life struggles into a book, painting, poem or top 40's hit song (like our fav break-up queen Taylor Swift). Creatives bring a spontaneous energy to the room, inspiring you to peel back your insecurities and create your dreams. She is doing well at her company, working hard and rising through the ranks. She enjoys networking events, aligning herself with people of power and even appears to enjoy office politics (because she's pretty darn good at it). She's obviously a force to be reckoned with and will inspire you to crush your own corporate+career goals. Now by this one, I don't actually mean the preacher's daughter, but your friend that's always inviting you to church. This friend is crucial to your spiritual growth. Maybe millennials don't have to worry as much about keeping up with the Jonses, but we do suffer serious FOMO from these Instagram stars that are somehow always living the life we want. They have the latest clothes, gadgets, traveling to the best venues, staying in the most lavish hotels and spas, viewing top Broadway shows - they even went to see Beyonce in person while you only got the few glimpses of the show they put on their IG stories. #Tear. Your minimalist friend will help keep you grounded in what's important in life. They seem to flow freely through life, not worrying about the cost of things because they don't suffer from lifestyle inflation... ever. They pride themselves on shopping at a thrift store (and brag about how cheap something was, rather than how expensive.) This friend is a quick reminder of show simple life can be. Vision boards are a great way to create and remain consistent with your goals throughout the year. Having the right people around you while you create your big vision will only further ensure your success.